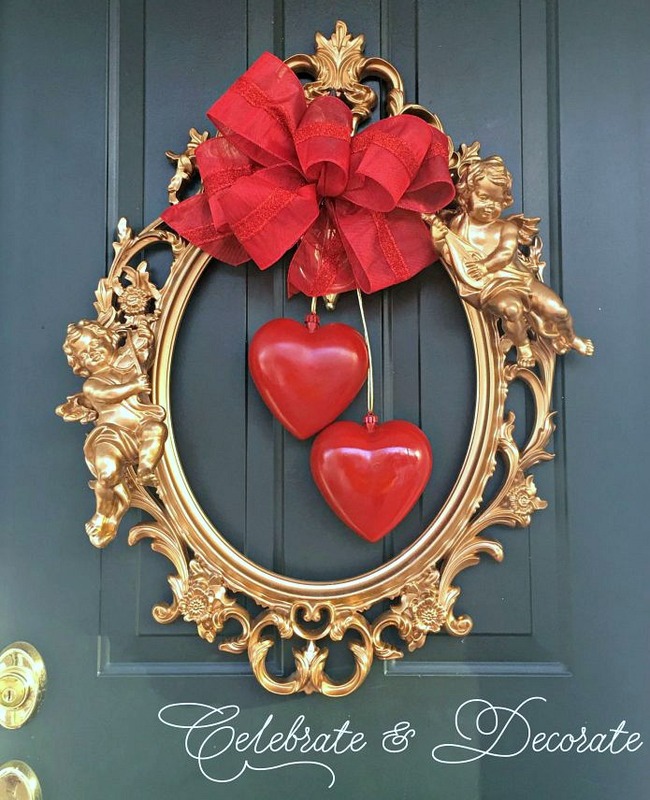 This Valentine’s Wreath DIY is super simple! 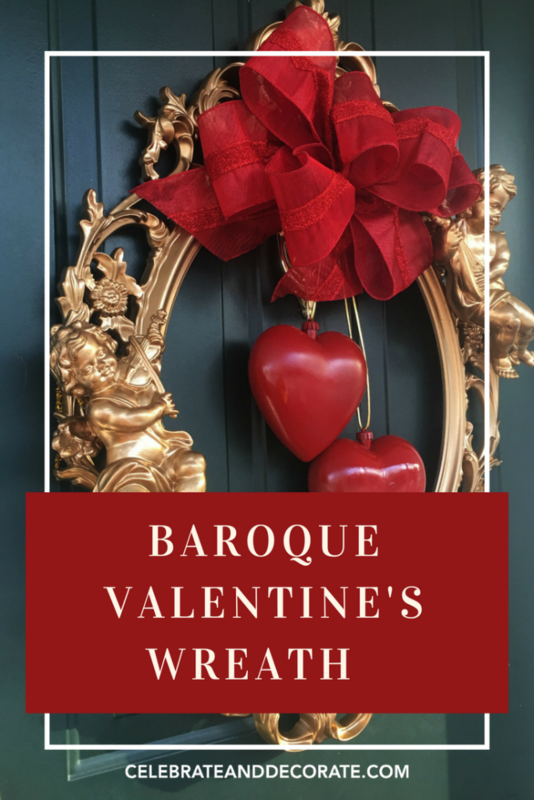 Everyone will think you paid a lot for this baroque Valentine’s Wreath. 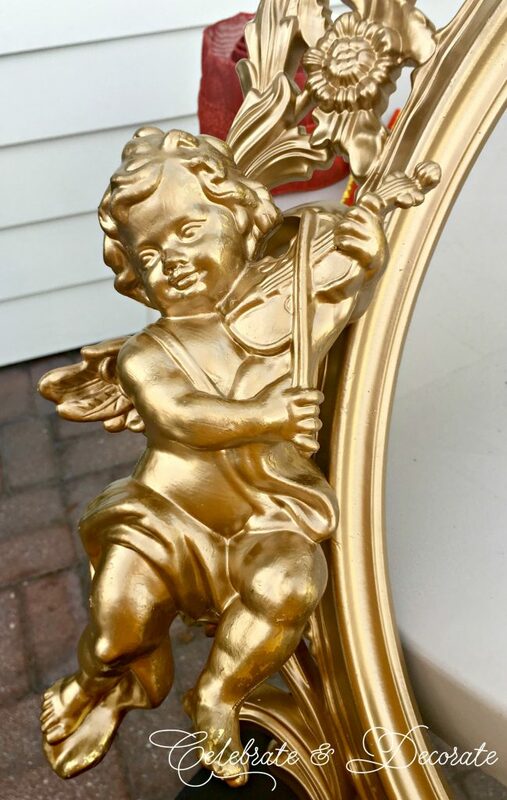 We all think of cherubs, particularly Cupid when it comes to Valentine’s day. 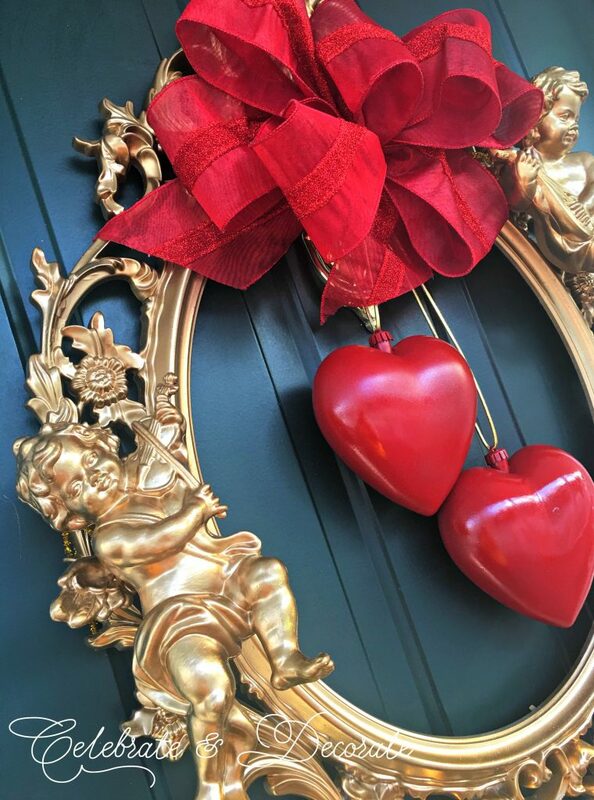 This Valentine’s wreath will hang on my front door and depicts putti or musical instrument playing cherubs. First I felt I needed to make sure my little cherubs were actually related to Cupid. I learned so much, like that they are called putto or putti for the plural. 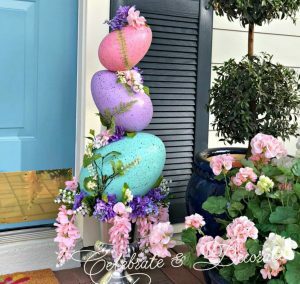 I guess I don’t care if my little fellows are related or not, I like my wreath and think it is fun! 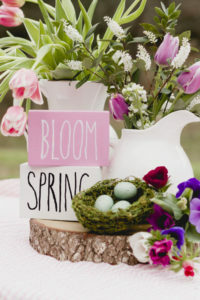 I hope you will too! I began once again with one of my Ikea Drill frames. If you haven’t picked up one of these from Ikea, you are missing out on all kinds of creative things to do with them! 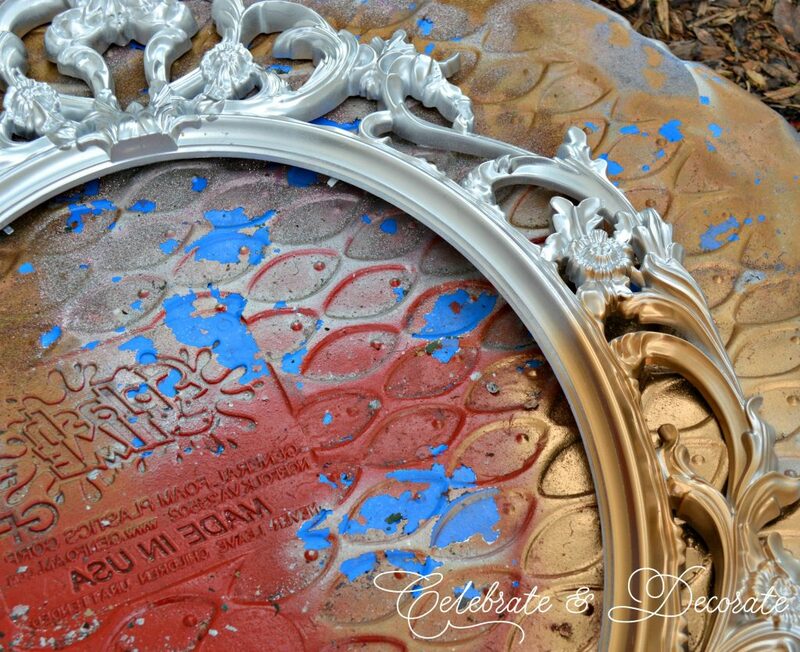 I used this one for my New Year’s Eve door, painted silver, so it was time for another layer of paint, back to gold. 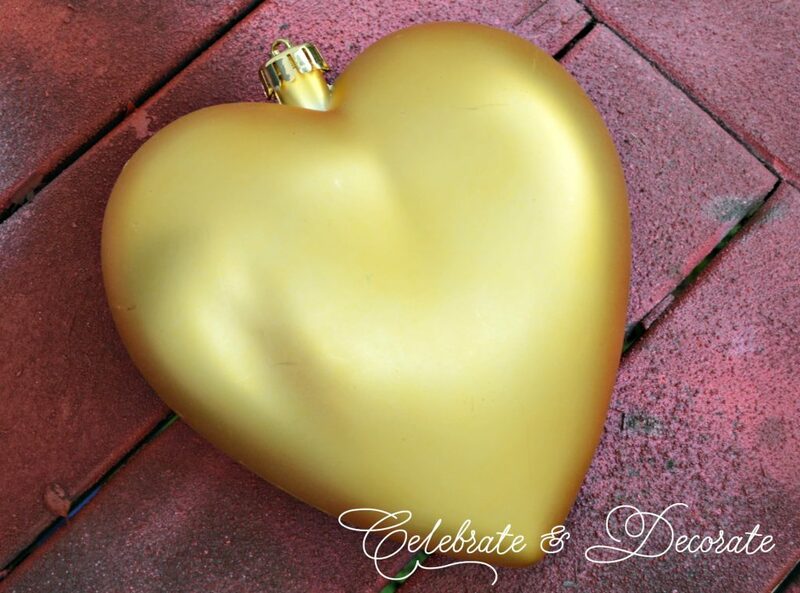 I was also lucky enough during Christmas to discover a box of old ornaments with these puffy heart ornaments. I knew right away I would use them for Valentine’s day. What a transformation, right? 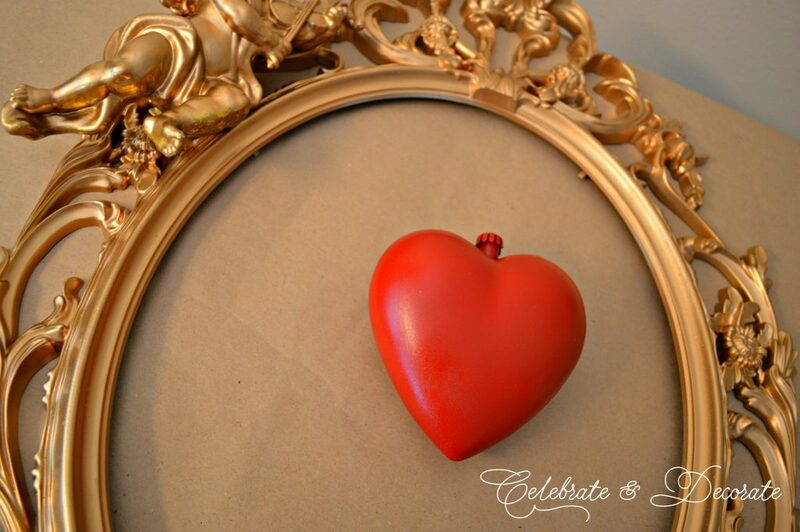 Yes, the silver frame went gold and the gold hearts went red! Can you guess where this is going? This is actually a very simple project, and as always with my frame, this will not be permanent, so it can be re-styled later. Here are my little putti, or cherubs. These, too, were on a Christmas tree many years ago, I am so glad that I had saved them. 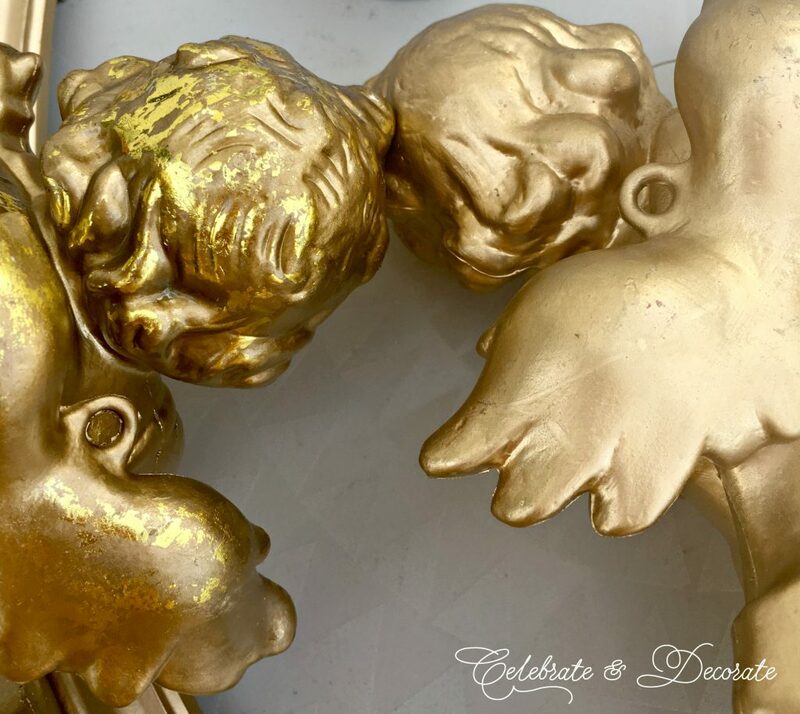 They got a slight spray of the same gold paint, but I left a little of the patina on the cherubs. I think you can see it on the legs of the one with the violin. Since these were Christmas ornaments, I was fortunate to have these loops on the back of their wings to attach them to the sides of my frame. 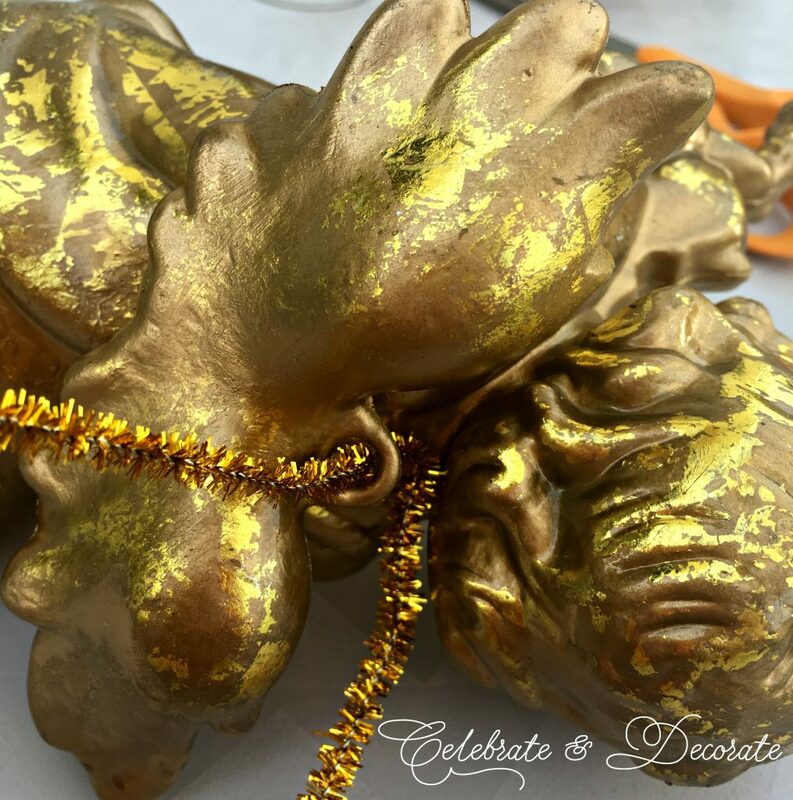 I threaded a gold chenille stem through the loop on the back of each of my cherubs. 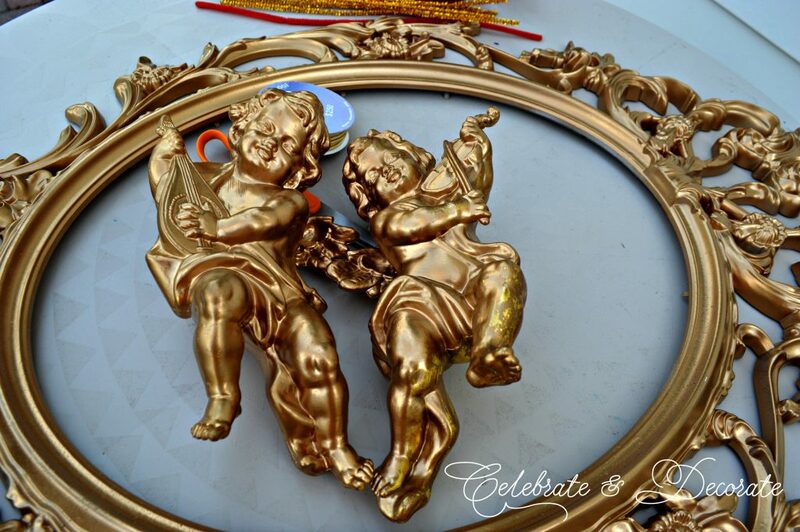 I then found a spot where I could attach the cherub with the chenille stem to the frame. Here is my little putto on the frame! Doesn’t putto sound so much cuter than cherub? I think I am going to have to figure out how to use the word putto in my everyday life! A big red bow was tied for the top of my wreath, and then it was time to put it all together! Gold cord was threaded through the top of the heart ornaments, it was looped through the top of the frame and knotted. 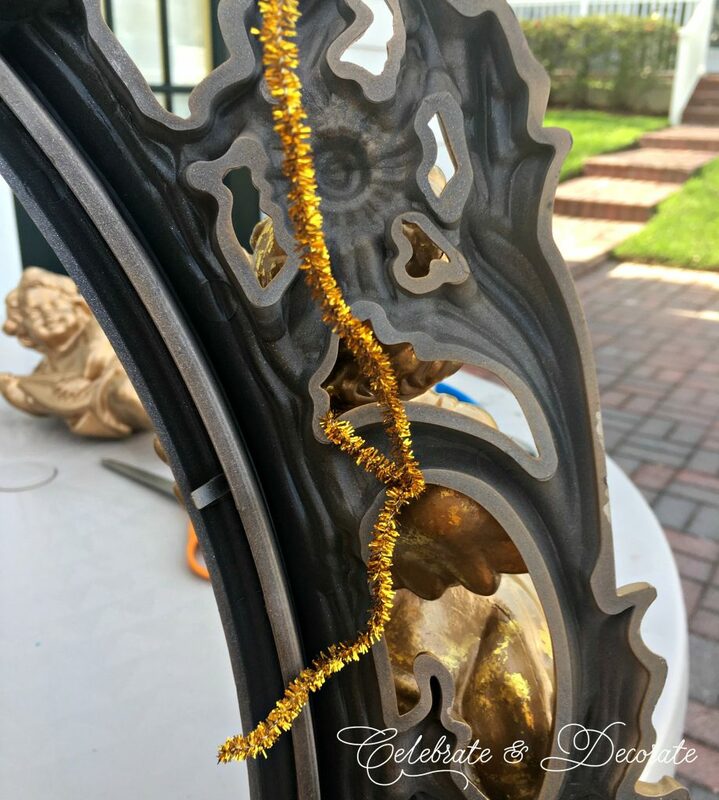 I attached the ribbon to the gold cords so the ornate top of the frame would still show, but you could also attach it anywhere toward the top of the frame. There is my wreath, proudly adorning my front door! I think my little putti are quite happy to be playing away on my front door, don’t you? 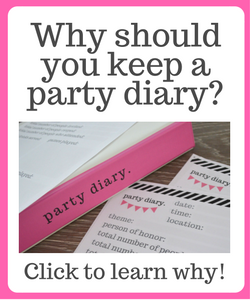 You’re awesome, Chloe, You can knock a craft project in no time, in the most resourceful ways. That looks great. Oh thank you Rita. Sometimes they are quick, sometimes not so quick. Taking it apart today so I can put it together on Facebook Live this afternoon! I wish there was an IKEA close to me. 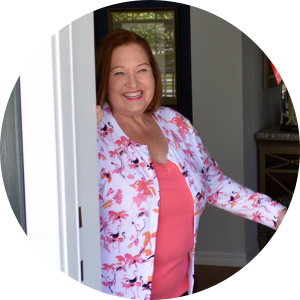 I have loved everyone of these that you have made for your door…this one is probably my favorite! Happy weekend! When I was in Ohio I had to drive 2 hours to Pittsburg to get to Ikea. I really loved this one, too, but it is a close second to my late summer one. Thanks Pam. 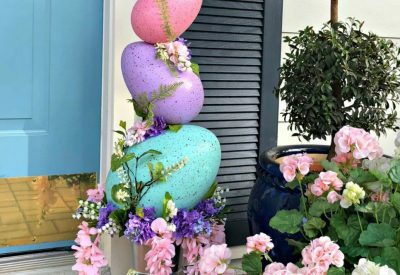 This turned out so cute- you are so creative! 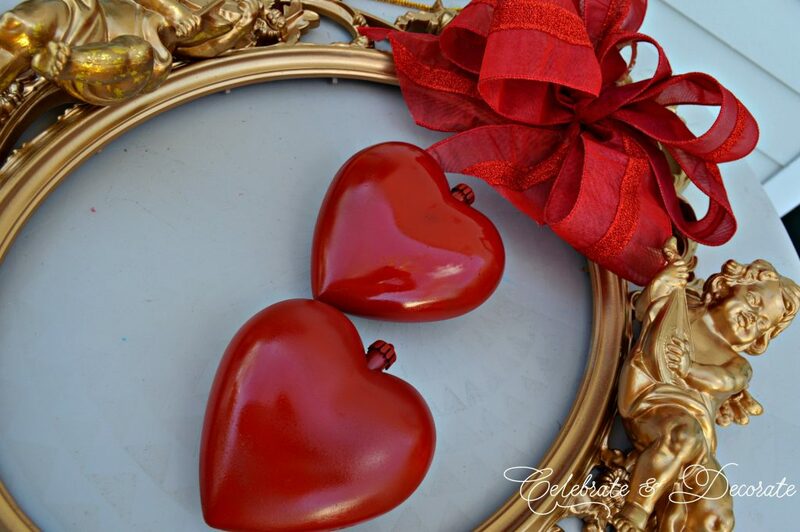 Love the cherubs and big hearts. I’ve never been to an IKEA. There is one in Michigan but it’s a good 4 hr. drive from where I live. I hope to check it out one of these days. So pretty. You are very creative and accomplish things quickly. 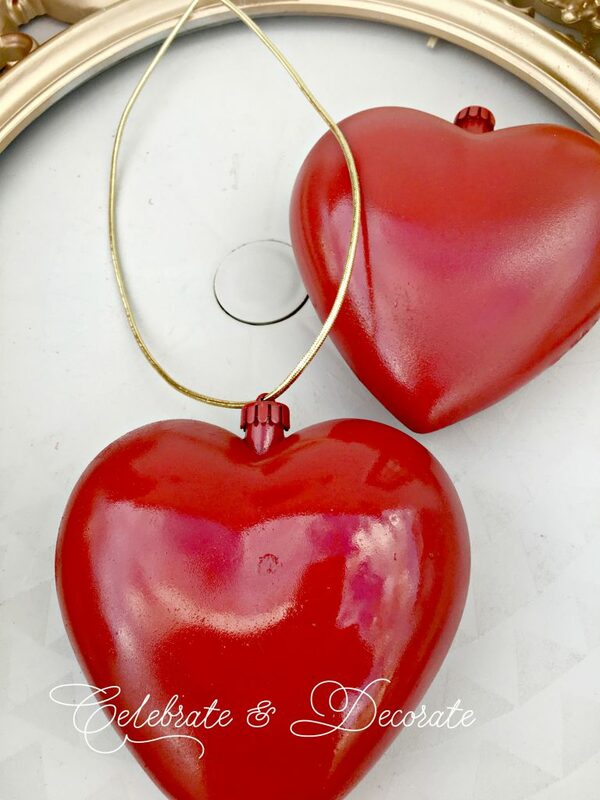 The red and gold are so elegant and great for Valentines with the cupids and hearts. Very nice and I enjoyed reading how you did it. 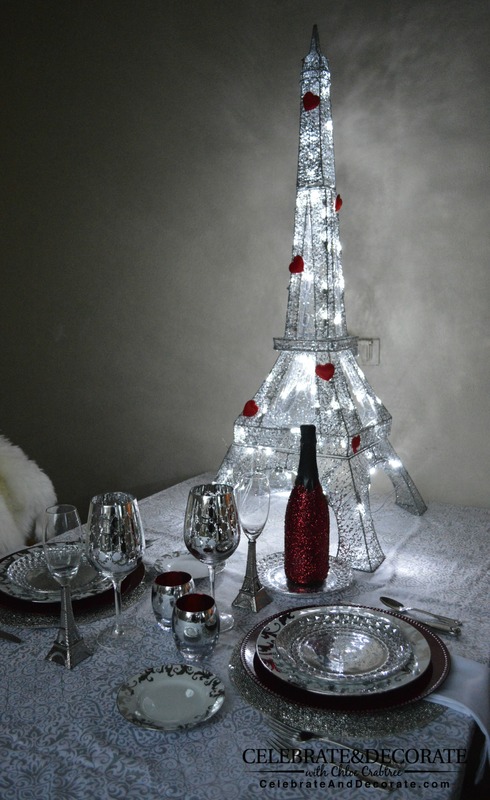 That’s so romantic, elegant and simple! Perfect for valentines! What a clever idea! Stunningly beautiful, and remarkably easier then I thought it would be to create. Thank you Alessandra, yes, quick and easy! Chloe that is one unique wreath. 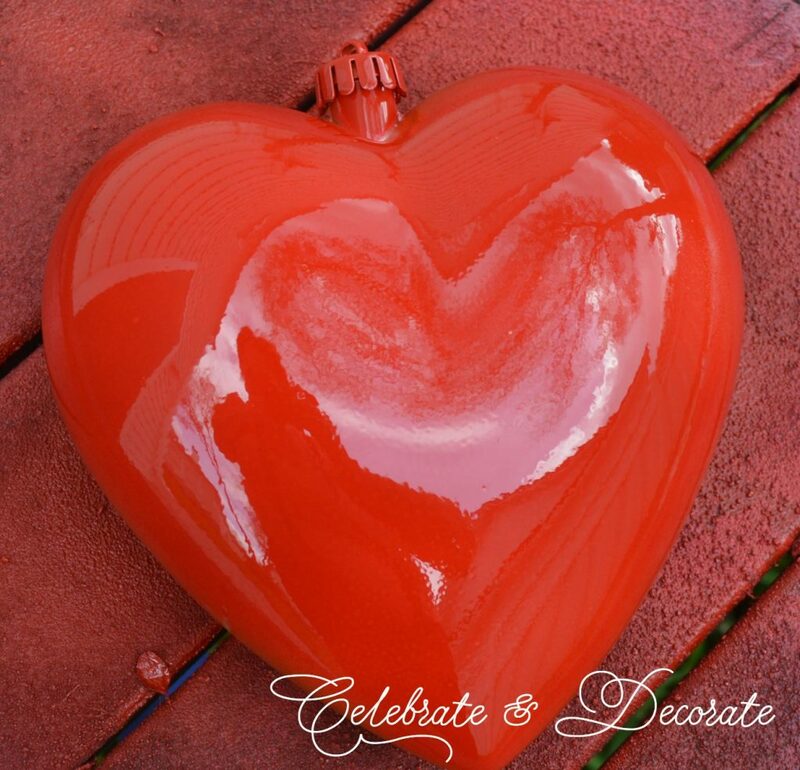 It is one of my features for the Valentine’s Day Blog Hop. Congratulations. Thank you Mary, I guess it is time to take it down for this year! I love that unique and sometimes quick projects that you do. It inspires me to try something with what I have on hand, although that “stash” grows by leaps and bounds!